BigCommerce: Another Ace up your Sleeve? Building an online business is tricky. Falling into the trap is easy. Not if you have the right tools. Tools you can trust. While e-commerce comes with a bagful of promises, it’s not for the faint hearted. From the tools you can leverage on to skilful use of online store builders, there’s plenty of work waiting for you. And if you are on the fence about which store builder to pick, BigCommerce is can be your pick from the big buffet eCommerce party. Big Commerce merchants experience 2 x grows than the industry average. Now, that is a mouth watering statistic to boast of. So can you really grow your sales with this simple platform that takes care of all your e-commerce needs? 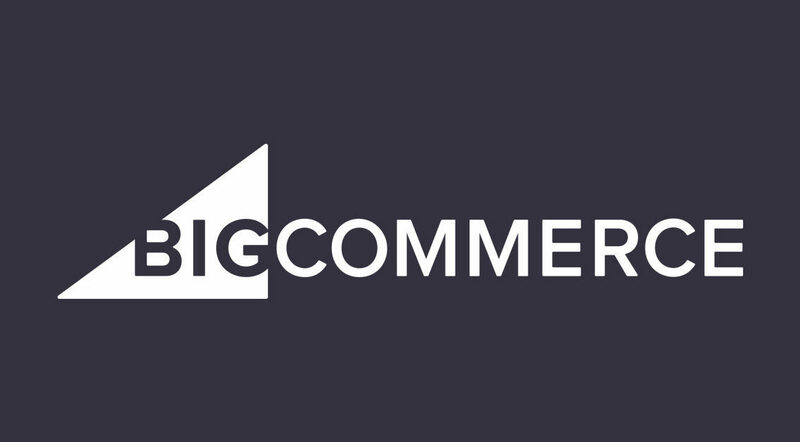 Does BigCommerce really mean Big Commerce? For a detailed understanding, read on. It’s literally your one-stop shop for all kinds of solutions. Whether you are currently selling something or want to start from scratch, BigCommerce has something for everybody. They have a whole range of features that you can play around with. And the platform covers all kinds of businesses. Gifts, jewelry, fashion, electronics, gifts, you name it! So you think there are many other e-commerce builders offering the same? Well, here’s what makes BigCommerce different—its comprehensive range of tools. Take email newsletter tools, for instance, or promotion campaigns, shipping and tax configurations or handling returns, a range of services come in the monthly package offered by them. And fret not. If you are clueless about which social sharing tools to use, or don’t know how to control product reviews & store statistics reporting, BigCommerce has the simplest solutions. Don’t waste your time trying to work your way through a complicated set up. They manage the entire hosting process and let you focus on other business needs. These guys take care of your security upgrades, and ensure that you are safe at all times. From minor technical glitches to security from hacks, these guys have it all sorted for you. Keep a track of your orders—invoices, pending, shipped, packing slips, etc. All good things come at a cost, so if you are looking for something “free”, BigCommerce is not for you. But for industry leading solutions and feature packed platforms, this is your place. How often do you stop browsing an online store just because it looks boring? The rules of online marketing are simple—create an eye catching website that hooks visitors in the first glance. Let’s face it, there are plenty of players out there. The whole idea behind visiting a website for buying something is “Time Crunch”. With a multitude of options in the web designing world, an exclusive design might cost you an arm and a leg. With BigCommerce, you can create a complete story with 7 free and 76 paid premium templates. It’s not just the range of themes that surprised us, it’s what you can do with them. From gorgeous out-of-the-box concepts to engaging and advanced customisation, the choices are plenty. BigCommerce revamped the entire collection of its store front recently with paid templates ranging from $145 to $235 (more on this below). And if you are in two minds about spending on a particular design, consider exploring their marketplace. With qualified design experts on board to help you make the right choice, they’ve really aced the game. They help you make smarter choices. For cost effective measures, you can hire one of the designers to tweak any template that you have picked. What made us fall in love with BigCommerce website designs? So those reminders you get when you leave your cart without making the purchase come to you through the Abandoned Cart Saver tool. This is a must-have for any online business. The tool will automatically email your visitors who made it half way through the payment process, but didn’t make the purchase for some reason. This is one of the most productive features offered by BigCommerce. You can easily create three automated emails to site visitors who leave their emails or just leave the cart without buying anything. Remember, these visitors are the easiest to convert into leads. You don’t have to waste time sitting and analysing through the extensive data. The Abandoned Cart Saver does it for you. This can boost your sales manifolds. While this feature is available with many builders, BigCommerce has just made it more flexible. The feature is not available in Standard Plan. BigCommerce is not for you if you’re simply looking for a free e-commerce place. They don’t do stuff for free, but they offer you the best there is. Think of it like this—your website is your store. If it’s not attractive enough, there’s a faint chance that you’ll make any sales. The world of online marketing is all about visibility (at first). BigCommerce is packed with engaging features for your website at affordable prices. The Standard Monthly: The anywhere between $29.95 to $249.95 (Pro) per month. monthly plan. You see what they do is, give all kinds of users a variety of plans to choose from. You don’t have to able to afford a certain value to sign up with them. You get bulk discounts (like, literally big discounts!) on these plans if you sign up for the entire year. The Enterprise Plan: This is for established online stores with a turnover of $1 million dollars per year in revenues. The Enterprise Plan will give you a dedicated team of professionals who will guide you from set up to data immigration, basically, every step of the way. And you get priority assistance too (no waiting on calls anymore). Whether you are an amateur businessman or an established one, there’s something for everybody. So, your business margins are safe. If you don’t know how to find profitable niche market. check out here. The one feature that we found the most impressive about BigCommerce is that of unlimited bandwidth! Pretty cool, right? So, your monthly plan will include an unlimited bandwidth which means, no matter how many visitors you get per month, you pay nothing extra. More visitors means more resources going into managing your website. There’s no extra charge for it at BigCommerce. The being said, they do charge a payment processing fee every time you accept a payment. Payment options are not a breeze—no penalties! Integrating a payment gateway with BigCommerce can take a bit of time. Merchant accounts can eat up a bunch of your time as they take a while to set up and configure with the gateway of your choice. But once it’s done, your transactions are a breeze. The catch is—BigCommerce makes global transactions a breeze with its wide range of payment options. Those unnecessary transaction fee structures will not bother you anymore. They give you many options to work your plan around it. For instance, the Pro Plan allows you to the sales limit up to $1 million by paying $150 each month for every additional $200k sales. And then you have an additional 1,000-2,000 order limit per plan. You will not be asked to upgrade unless you are really over the limit. Additional charges only apply for payment gateway. The percentage you pay for the transaction fee totally depends on the payment gateway provider you choose. This is not the fee that BigCommerce charges. The big plus that is not offered by other site builders is the integration with Apple Pay and PayPal One Touch. This can give a boost to your mobile conversion. BigCommerce definitely means business. Online shops are spending thousands of dollars each year to ensure the safety of their websites. But this is not a herculean task anymore. BigCommerce takes care of it in the simplest way. No additional costs. Top notch security. You don’t have to worry about the security of your customer details. They provide you with Level 1 PCI complaint when your online shop is set. You will also get an SSL certificate to ensure your customer details are safe. The data is backed up automatically so you will not lose any information if the system crashes. These are benefits that come automatically with your plan. Store Functions with extended Apps! If you are building a store online, you must be aware about what a few extra tools can add to your business. Welcome to the world of BigCommerce where you get additional tools to help you extend your business. We were quite surprised by the number of Apps they have. You can add n number of functions to your e-commerce store and make tasks simpler. These Apps help in creating a more engaging market for your consumers and help you take care of administrative tasks with more flexibility. The Apps are designed with advanced features to help you manage all the mundane tasks like inventory management and bookkeeping without hiccups. Some are paid and there are some that come for free with trial periods. You can choose which ones deem fit for your business needs. For instance, live chat functions are important to know what people want and how they understand your business. These include pre-sale questions, reviews, etc. The Apps help you regulate this on a daily basis without wasting too much time on it. You can streamline your tasks and add to the marketing techniques by using a bunch of apps. Save start-up capital with Dropshipping. Here’s a selling model that works perfectly if you don’t want to invest big. Bigcommerce has a perfect way of handling dropshipping. It is a selling model you don’t have to keep what you are offering on the online shop, in stock. You can simply send the order details to the vendor and the goods are sent to the customer. Basically, there is no need to purchase any stock in advance. Bigcommerce makes dropshipping possible with by using a third-party app. Finance Reports: Everything about money. What are your sales spends, which taxes are pending, etc. Customer Reports: Who are your customers, what are they spending on, when did they make the last order, what is the ratio of new customers to existing ones? Customer Reports answer all these questions. Marketing Reports: Why and how did you find the customers you did? How did you acquire them? Search Data Reports: What phrases are customers using while looking for products on your online store? Abandoned Cart Reports: Track customers who left the cart, how many such carts are pending, etc. Bigcommerce analytics is pretty strong and most of these reports are a part of their Standard Plans. Switch to mobile theme within seconds. There’s no point of using an e-commerce site if you are not using it in the mobile version. This is where BigCommerce scores big over its competitors. You can switch to the mobile theme and let your visitors purchase directly from your store on their mobile phones and tablets. We found the BigCommerce dashboard to be pretty impressive. They allow you to look into the preview before you finalise it. Just a bit of coding here and there, and you can customise your mobile store yourself. You can even get one of their experts to simplify this for you. The only glitch here is that they do not have a mobile app to manage your store. Unlike before when you could control everything on your online store from a remote location, unfortunately, it’s no longer available. The on boarding process itself will show you how quick they are to respond. They have plenty of support emails coming your way with various resources that help you get through the initial glitches. They help you every step of the way until your store is up and running. If you sign up for a plan, they provide a 24-hour live support. The Problem—It’s not clearly mentioned what this covers, so ask before you sign up. This could just cover a live chat, or a call or email or all. Of the many sites we have tested, BigCommerce has turned out to be one of the most engaging. It’s easy to use, user-friendly and every aspect is significantly useful. While it stands out with its features like flexibility in drop shipping and built-in product review functionality, it’s marketing features are stronger. The only thing that would probably dissuade us from putting the money on it is the limit they place on annula online sales. Not to forget, the price is on the high side. However, when it comes to easy custom fields, range of coupon tools, automated emails and abandoned cart saver options, the price seems totally worth it. All good things come at a fair price after all.